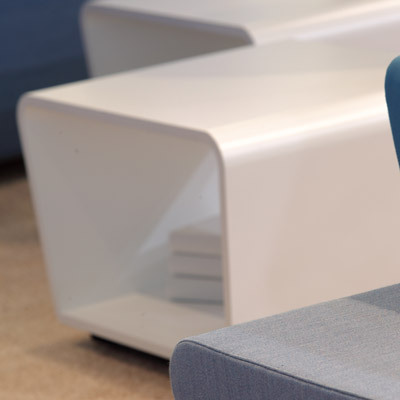 This collaborative lounge concept, by the French design team Catherine Le Téo and Thierry Blet, supports the evolution of new, more collaborative workstyles. 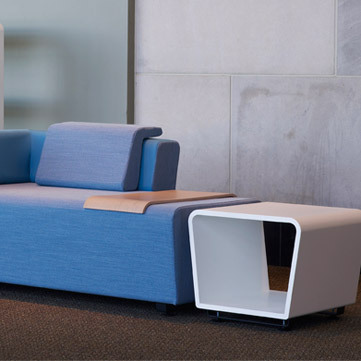 The flexible, imaginative shapes are intended to draw informal groups into greater collaborative creativity. 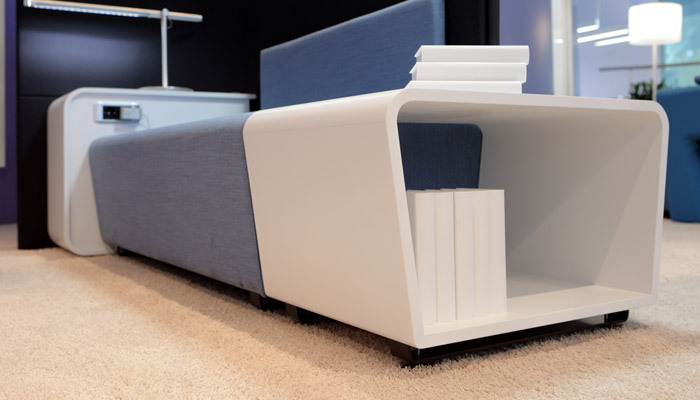 The LTB family includes linear and X link tables, coffee table, and an open bookcase. Integrated power makes LTB ideal for spurring spontaneous collaboration or providing a relaxed atmosphere for individual work.